Preparing for our trip south | Turning my world upside down! The snow is falling hard outside. It’s Dec 10. Christmas is 2 weeks away and all I want to do is get ready for my trip to Florida. 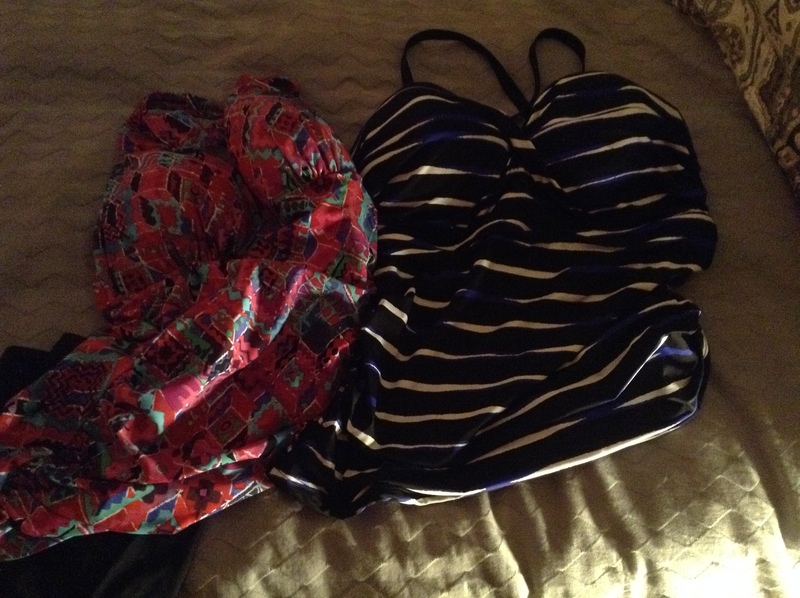 Yesterday I spent an hour or so trying on tankini tops so I could find just the right one. The salesgirl was very patient, thank goodness. I ended up with 2 new tops and I am quite delighted with them. They will go into my little suitcase along with a couple of pairs of shorts, an extra pair of jeans and as few other basics as I can pack in a carry-on case. I learned on my last trip to Morocco that the best option for travel is to bring as little as possible. I can’t count the times my daughter and I congratulated each other as we ran from one train to another or checked in at yet another airplane counter. No bulky luggage for me again if I can help it. Leon and I haven’t planned too much of the trip, but we have booked 2 nights in the Upper Keys and 2 nights in Key West. We want to visit Sanibel and Captiva Islands and now my brother and sister-in-law have graciously invited us to stay one night at their condo in Marco Island. The theme for this holiday will be walking the beach if I have anything to say about it! Of course the Keys are an ocean playground, so maybe we’ll have time for a bit of scuba diving or snorkeling, weather permitting. And I know I will want to walk down Duval Street in Key West and do a pub crawl with Leon, as we did the night before we were married. Wish we could be travelling in our Roadie and stay a lot longer. Thanks for the good wishes. We’ve actually been there separately in the past. Will probably make our way there again someday. Lovely people, lovely beaches. Thanks Lyndel! Yes, I am missing Australia. Hope to visit again in the next 2 yrs. Have the best summer and Happy Holidays to you both as well!